Wilbur and Cherokee are having a friend stay with them this week. They love it when Lily comes to play. The post that doesn’t end. Thank you. She’s a good dog, too. Oh my. Along with some bark-bark there will also be some yip-yappity around your place. Adorable little friend. There is definitely some yip-yappity outside. Lily loves harassing squirrels, and we have tons of squirrels. Yeah, Lily is a cutie. When Lily’s family see’s this shot they are definitely going to want a copy, Ms. D! Hello Maxi. 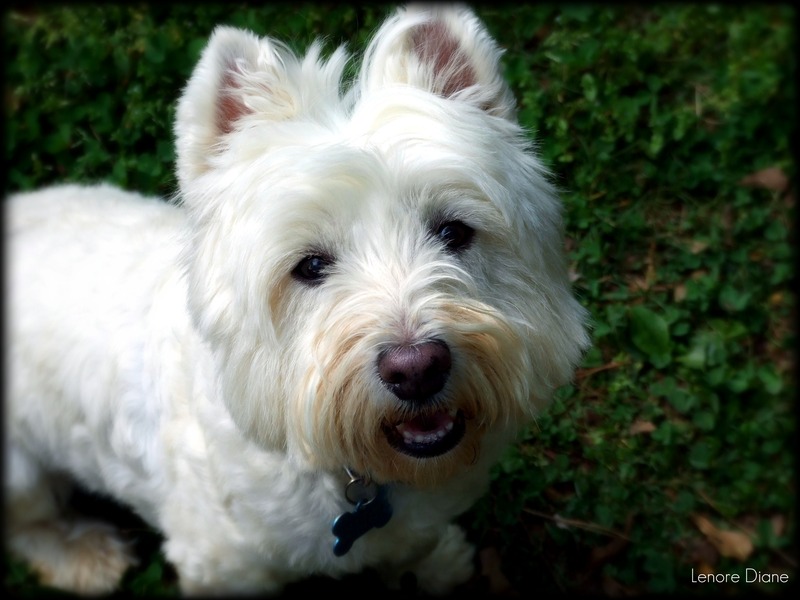 Lily is a Westie. Julia would love Lily. I promise Lily would neither bite nor scratch her. I love when Lily comes to play, too! Thank you very much, Ramblin. The awards that go ’round and ’round are nice to receive, but I admit – receiving this award from you, something you created on your own, well – that fact makes it all the more special. I do appreciate your kind words and your consideration. I will gladly display your badge on my blog. Thank you so much for the nod.